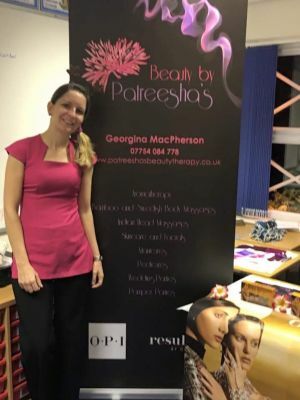 Hello and a warm welcome to Beauty by Patreesha’s, a Worcester-based mobile beauty therapy business offering professional, friendly and high quality traditional and holistic beauty treatments such as; luxury facials, manicures, pedicures, nail treatments and massage with our delicious pre-blended Aromatherapy oils you can take home with you. We use professional and high quality products including the fabulous Resultime for Skin Care as well as OPI Polish and GelColor. All of our treatments are carried out by our fully qualified beautician; Georgina. Resultime by Collin Paris: beautiful results for your facials, each product can be tailored to your individual needs, leaving you looking and feeling refreshed and wonderful. Luxury Manicures and Deluxe Pedicures: OPI Polish and GelColor. Massage: Indian Head, Swedish, Aromatherapy and Bamboo Massages. We only use oils and balms of a very high quality, which can be tailored to your individual needs.